At the International Film Festival of poetic animation, ANIMAVI, in Pergola, in the beautiful region of El Marche in Italy, Wim Wenders was honored with the Bronzo Dorato Lifetime Achievement Award during a ceremony which took place in an exquisite old theatre in Cagli. 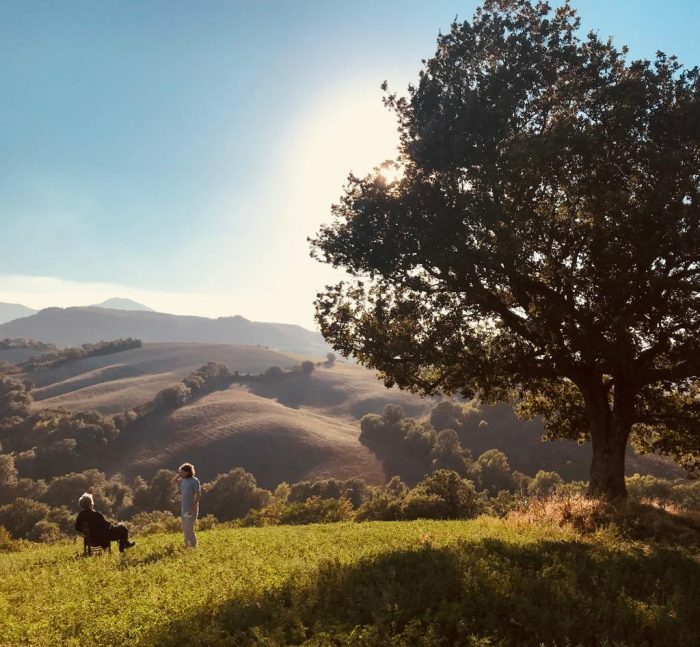 The entire visit in this extraordinary part of Italy was a sheer pleasure for both Wim and Donata Wenders. As already noted by previous recipients of the award, Alexander Sokurov and Emir Kusturica, this is truly a one of a kind festival. Simone Massi, the director of the festival, Mattia Priori, Silvia Carbone, Leone Fadelli and a whole community of volunteers, have created a unique event celebrating artistic animation and poetry in cinema. Wim and Donata were so enchanted that they will try their best to support the festival and its approach in the future.